Japan's most famous confectionery company Meiji, has been producing famous chocolate bars since 1926. 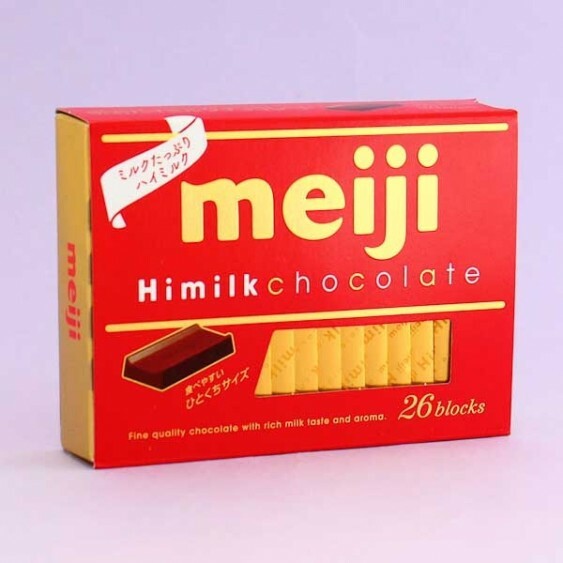 This Meiji milk chocolate box has 26 individually wrapped milk chocolate blocks with the "Meiji" logo on each one. 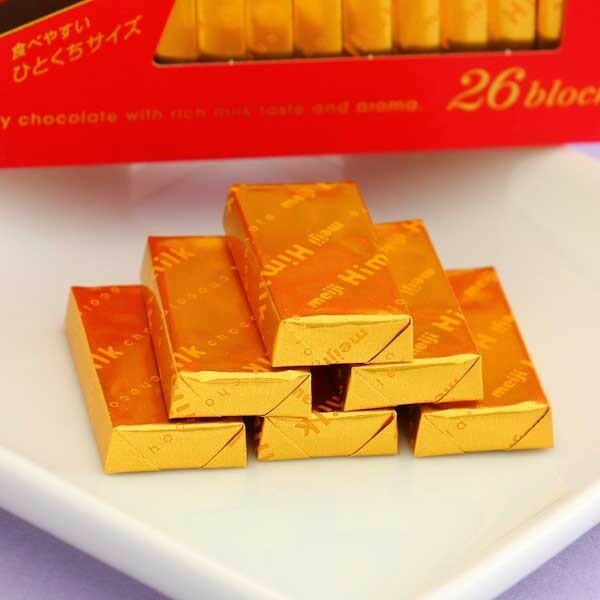 This chocolate is fine quality with rich milk taste and aroma. 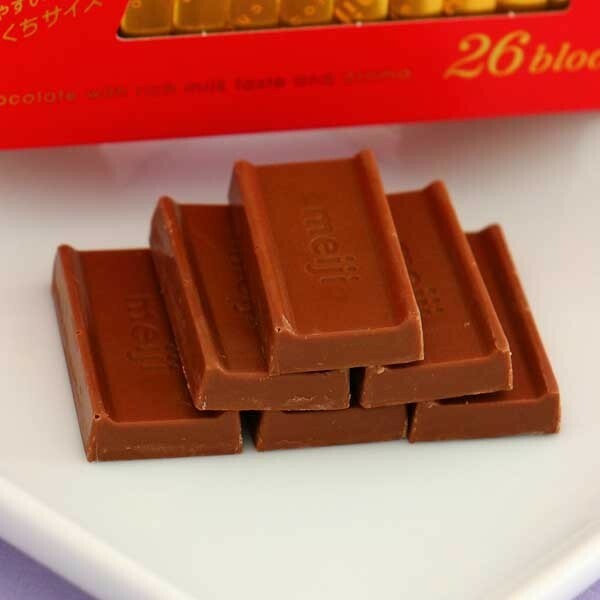 This popular chocolate is a perfect gift for any chocolate lover!